Bank is defined as a financial institution that collects deposits from various individual and organizations and provides loans to those who need it. But modern banks do not mean only the means of collecting and disbursing money to various entities. Rather it provides various services to various entities which facilitate their business operations. The functional definition of bank is that “it is a financial institution, which accepts money from its customers as deposit and gives money as loan to the borrowers.” According to a prominent economist R.S. Sayers, “ A Bank is an institution whose debts are widely accepted in settlement of other peoples’ debts to each other. To earn and maintain CAMEL Rating Strong. development of strategies marketing plans. To train and develop all employees and provide adequate resources so that customer needs car, be responsibly addressed. The word bank, which means a financial intermediary that collects deposits from savers and disburses loans to the fund seekers and acts as the principal medium internal resources mobilization of an economy, is not the result of a short period. Instead, it has to pass through a very long period. Double coincidence of needs: this means the needs of two persons must meet the surplus that they have. For example, one person has some surplus rice and another person has some surplus cloths. If they the person with rice has the need of cloths and the person with cloth needs rice, only then the transaction will take place. But it was difficult Indivisibility of goods: all goods are not divisible and not of same worth. This caused a big problem for transaction. For example, a cow is not exchangeable for 1 meter cloth, neither it can be dividable in smaller units. As result, people had o think for a mechanism that would solve these problems and facilitate the transaction process. This resulted in the introduction of money in the form of stone, metals, bones etc. After the introduction of money, the volume of transactions increased to a great extent. People with surplus money started to feel insecure about their money. At that stage, goldsmiths, priests, businessmen were the most honorable and trusted people in the society. People started to keep their surplus money and jewelry deposited with them. They lent this money without any charge to those who needed money. This was the ‘transaction of utmost faith’. From here, the history of bank counts. After some time, businessmen started to charge some charges on those who took loan from them. It was the goldsmiths who introduced the ‘deposit slips’ in the history. Day by day, volume and complexity of transactions kept increasing, so as the concept of bank. As early as 2000 B.C., Babylonians had developed a system of bank. In ancient Greece and Rome the practice of granting credit was widely prevailed. ‘Traces of Credit by compensation and by transfer’ orders were found in Assyria, Phoenicia and Egypt before the system attained full development in Greece and Rome. The book of old Hindu saw giver, MANU, is full of regulations for governing credit. He speaks of judicial proceedings credit instruments were called for, interest on loans, on bankers, users and even of the renewals of commercial papers. In Rome, bankers were called Argentarii. Some banks carried business on their own account and others were appointed by the Government to receive the taxes. They used to transact their business on the similar lines as those of the modern banks. Loan banks which lent money to the poor without any interest on the security of land for a period of 3 of 4 years were also common in Rome. The Bank of Venice, established in 1157, is supposed to be the most ancient bank. It was not a bank in the modern sense being simply an office for the transfer of public debt. History shows the existence of a ‘Monte’ in the Florence in 1336/ the meaning of ‘Monte’ is given in the Italian Dictionary 1959 as ‘a standing bank or mount of money, as they have in diverse cities of Italy’. Banbrigge, an English writer, speaks about ‘the three banks of Venice’ meaning the three public loans of Monte. As early as 1349, the drapers of Barcelona carried on business of banking. It was subject to official regulations. The drapers were not allowed to commence business until they had given sufficient security. During 1401, a public bank was established in Barcelona. It used to exchange money, receive deposits, discount bills of exchange, both for citizens and foreigners. During 1407, the Bank of Genoa was established. The Bank of Amsterdam was established in 1609 to meet the needs merchants of the city. It accepted all kinds of specie on deposits. These deposits could be withdrawn on demand or transferred from the account of one person to another. The bank also adopted a plan by which a depositor received a kind of certificate entitling him to withdraw his deposits within six months. These written orders, in the course of time, came to be used in the same manner as the modern cheque. It is interesting to see that most on the European banks now in existence were formed on the modes of the Bank of Amsterdam. under the Cabal ministry. In the words of Bagehot; “It had perpetrated one of those monstrous frauds which are likewise gross blunders”. The goldsmiths used to deposit their reserve of treasure in the ‘Exchequer’ with the sanction and under the care of government. But Charles II shut down the Exchequer and paid nothing to the goldsmiths. However, the ruin of goldsmiths marks a turning point in the history of the English banking. It led to the growth of private banking and the establishment of the ‘Bank of England’. In the India, as early as Vedic period, banking existed in the crudest form. The bloods of Manu contain references regarding deposits, pledges and policy of loans and rates of interest. Truly, banking in those days largely meant money lending and they did not know the complicated mechanisms modern banking. This is true not only in case of India but also in case of other countries. The evolution of banking institutions became more and more organized as the time passed. In various periods, different amendments were made in different countries throughout the world. So, different countries have different contributions to the banking institutions to appear in the present form. Economic history shows that development has started everywhere with the banking system and its contribution towards financial development of a country is highest in the initial stage. The case studies of some particular developed countries also show the useful roles played by the banks in economic development process of local communities. Bank is a financial intermediary accepting deposits and granting loans; offers the widest menu of services of any financial institution. Banks are the most important financial institution in the economy. They are the principal sources of credit (loan able funds) for millions of individuals and families for many units of the government. At middle of 2001 there were 52 scheduled Banks. But during 2000, two foreign banks. “Standard Chartered Bank” and ANZ Grind lays Bank PLC” have been Marged as standard chartered Grindlays” reducing the total number of scheduled Bank in Bangladesh to 51. Thus there are 51 scheduled Banks in Bangladesh of which 4 are nationalized , 29 are private Banks of which 5 are Islamic Banks, 12’are foreign Banks including Islamic Bank and 5 are specialized Banks. In India the first bank, The bank of Hindustan was established in 1700. During the 18th and 19th century there were several banks like the bank of Calcutta, Central Bank of India, the Bank of Madras and the Bank of Bombay established. The Banking Companies Ordinance was promulgated on the 7th June 1962. This has been adopted in Bangladesh and is applicable to the banking companies only. Nothing of this ordinance shall apply to a co-operative bank registered under the cooperative Securities Act. 1912. Bangladesh has a mixed banking system comprises of nationalized, private and foreign commercial banks. 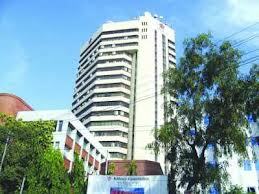 Bangladesh Bank (BB) has working as the central bank of the country since the independence of the country. Its prime jobs include issuing currencies, maintaining foreign exchange reserve and providing transaction facilities of all public monetary mattes. BB is responsible for planning and implementing the government’s monetary policy. The banking sector of Bangladesh comprises of four categories of scheduled banks. These are nationalized commercial banks (NCBs), government owned development finance institutions (DFIs), private commercial banks (PCBs) and foreign commercial banks (FCBs).